41891 NETPL1656.jpg 500X638\NETPL1656.jpg 41892 NETPL1656_1.jpg 500X638\NETPL1656_1.jpg 41893 NETPL1656_2.jpg 500X638\NETPL1656_2.jpg 41998 NETPL1656_3.jpg 500X638\NETPL1656_3.jpg 41894 NETPL1656_4.jpg 500X638\NETPL1656_4.jpg 41896 NETPL1656_6.jpg 500X638\NETPL1656_6.jpg Send A Hint! 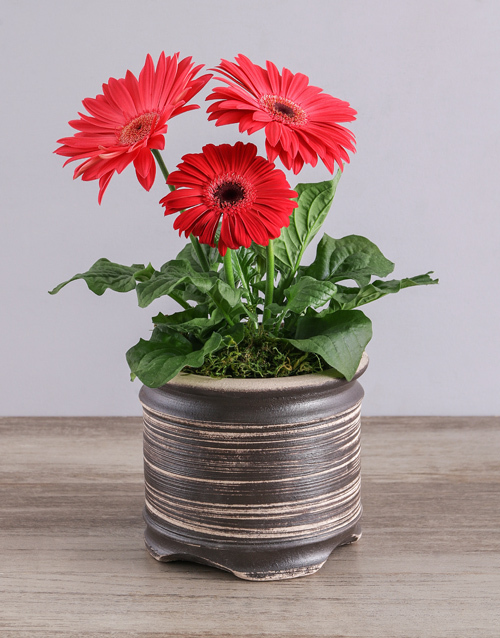 Product Description: less text Spoil someone dear to you with a lovely and cheerful mini gerbera plant which is displayed in a beautiful ceramic pot with moss. Perfect for any occasion! 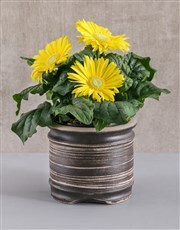 Get this Mini Gerbera Plant In Ceramic Pot delivered with NetFlorist.